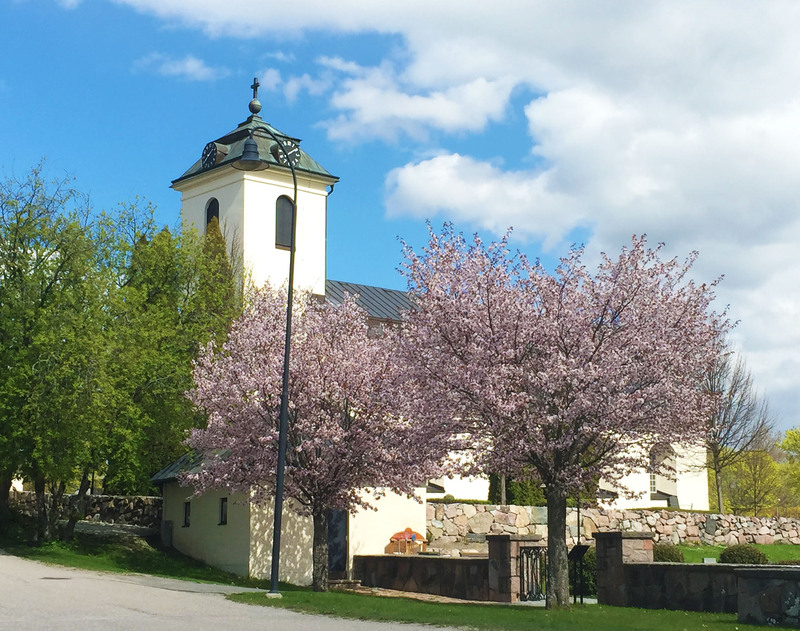 Fresta church lies in an area dense with old cultural traditions. Adjacent to the building are no less than fifteen runestones. The oldest parts of the church (vestry and inner walls of the choir) date to the early 1300’s and the nave from the later part of the same century. A wooden nave may have predated the current one. The church underwent a major rebuilding in 1776 when it was given it’s present day appearance. A clock tower was added to the west, windows enlarged and all the walls made the same height. Internally, it yet retains much of its medieval appearance. The vaults are from the 1300 & 1400’s and a few frescoes dating from the 1400’s depicting the apostles still decorate some of the walls.